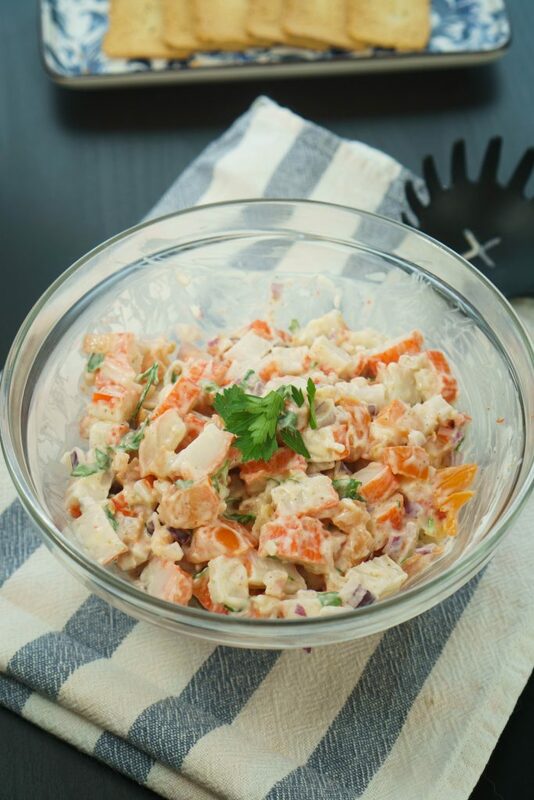 Today I will introduce you to the easiest imitation crab salad that you can find online. It’s full of flavor and the perfect filling for a midnight sandwich. Let’s talk about lazy food because this is exactly what this crab salad is. It’s extremely simple, no fuzz in the kitchen and the best of al is that you can assemble it in less than 10 minutes. Call me crazy — or lazy — but this is the kind of recipes I live for. I take the inspiration for this recipe from the countless Subway crab sandwiches that I ate during my college years. I could eat one or two of these every week during those years. 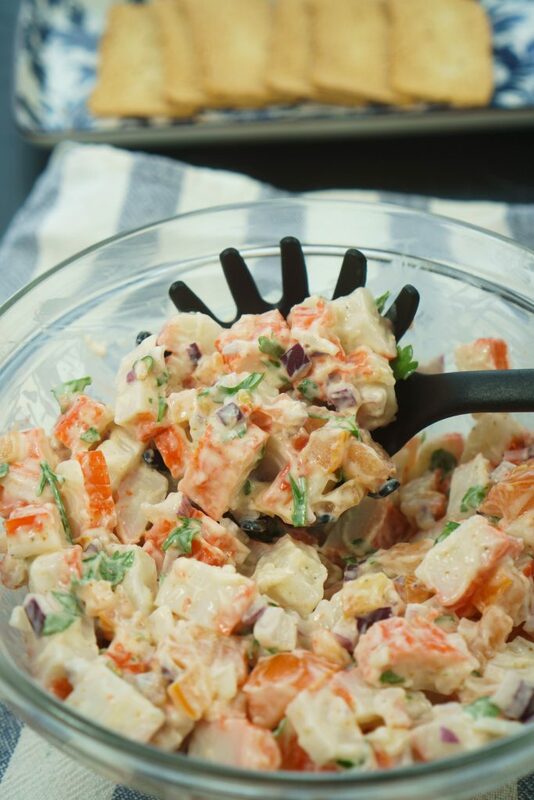 Now, when I miss my “college diet” I can make a batch of this crab salad and get my craving under control. This recipe resembles my egg salad. The main ingredient and the key for its creaminess is mayo. I know it is not the fanciest ingredient but it does its job perfectly. The imitation crab usually is easy to find in any grocery store and it comes in an individual package so you can save the rest for later much easier. Imitation crab is also an inexpensive and tasty way to add seafood flavor to a lot of dishes. I also add fresh parsley, purple onion — it has a stronger flavor than regular onion — and tomato for a touch of freshness. This is a winning mix. 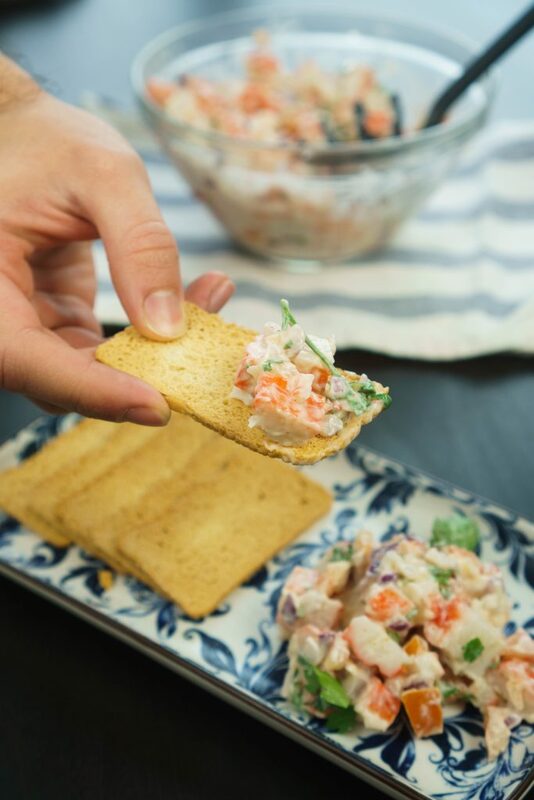 Besides being a great sandwich filling, I also use it with some cracker as a quick appetizer. This recipe is quite versatile and you can use it wherever you want. I hope you enjoyed this easy recipe and I see you in the next one! Cut the imitation crab, the onion and the tomato in tiny cubes. In a big bowl mix all the ingredients and season with salt and pepper to taste. Enjoy.